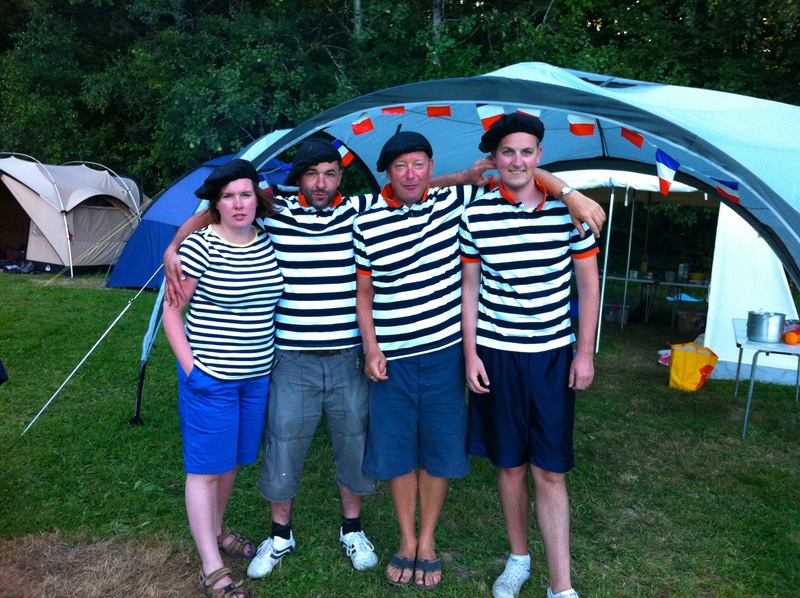 Having been more than two years in the planning, our Scouts and Explorer Scouts went on Summer Camp 2013 to France. The venue was a secluded camp-site in Eastern France, about 5 hours from Calais, called The Clearing of Verbamont. 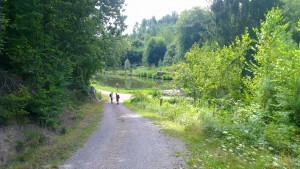 The site, a former French Scout Association site run by Cristophe and Cecile is an open field nestled in the vast woods of the Vosges mountains that proved to be the perfect backdrop for a brilliant week for both sections. Below you will find a video montage of photos from both sections taken at various points through the week. This gives you a little taster of what we got up to. Accounts and photos from the week are also below. “The Business”. 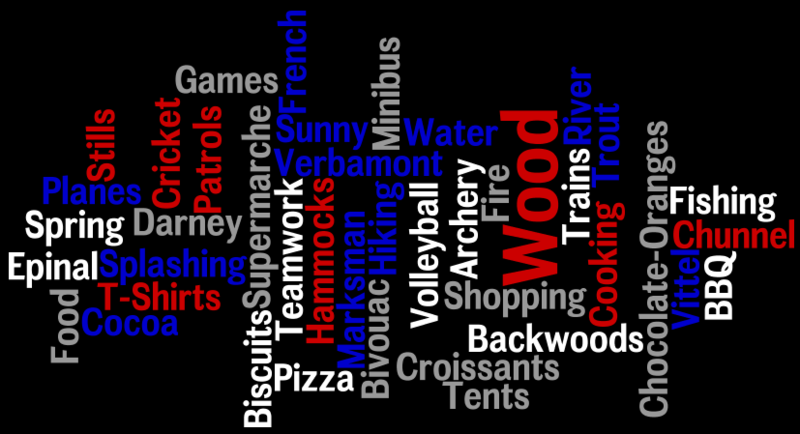 That’s how one of our patrols described the experience of Summer Camp 2013, which we think pretty much sums it all up for everyone in two words. For many members of the troop, not only was this their first summer camp with the troop but also their first time travelling abroad. The camp-site that we had almost not visited on a warm day in May 2011 when looking for a venue turned out to be one of the most fantastic places we have been camping. The Scouts had worked hard on their Scouting skills in the term leading up to camp, and that was put to use extensively through the week. They were responsible for their dining shelters (including cooking their own food), ensuring we had a fire in the evening, putting up and maintaining a tidy tent and much more. The ultimate test of their Scouting skills however came early on in the week in the form of a day of survival skills. The first task was to build a shelter to spend the night under out in the open, which went very well as everyone reported being warm and dry come the following morning. Every meal that day was also cooked over an open fire, real old school scouting at its best. For two of the days the troop was split down the middle. On each of the days one group went fishing at a local lake where everyone had a chance to learn how to fish. Some managed to catch some fish (which were eaten later that night) and others weren’t so lucky, but did learn a lot about how to fish. The other group were taken out on a hike around the stunning countryside and villages in the local area on a hike. 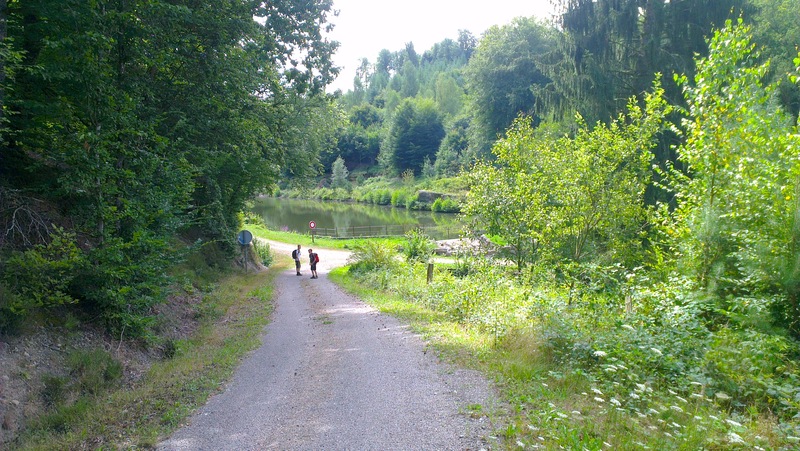 Everyone’s navigation skills were tested and improved through the two days and both groups were rewarded with a drink from the Vittel natural spring in a valley en route. In the days between the fishing and hiking, games and activities took place on the site, especially the old favourite a good inter-patrol game of volleyball. A planned trip to go canoeing sadly did not take place due to a problem at the canoeing place, however we didn’t let that stop us and a paddle in the river, closely followed by the obligatory water fight ensued. 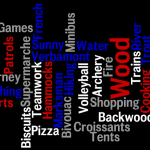 Once dried off and changed the Scouts were allowed to tour the pretty town of Epinal to do some souvenir shopping and to take in the local atmosphere. This was a perfect opportunity for them to use some of the French they had be learning before the trip. The final day of packing to come home in the heat of the day was thankfully broken up by the Explorers putting on some excellent water based games. Essentially they were team games designed to get everyone wet, whilst having a good time. The highlight of these was the game that required everyone to stand still and not flinch when hit by a water balloon. As always with these things, it ended in a barrage of water balloons, buckets of water and general soakings for everyone. We then packed the rest of the site away and the Scouts and Explorers stayed the final night out in the open under their shelters before getting on to the red eye express at 05:00. What did we think of camp? The business! What a fabulous week! 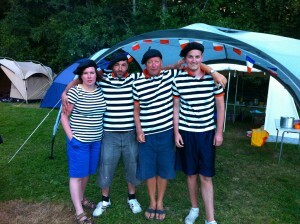 Our home for the week was Le Verbamont camp-site on the outskirts of Darney about 5 hours south east of Calais. Wall to wall sunshine all week which we made the most of by hiking, fishing, playing volleyball etc. There was a wood fired pizza oven onsite which we took full advantage off. The run up to our camp had been spent wisely with all of the Explorers making bread from scratch and bringing it down for taster sessions, this meant that we could confidently cook bread while we were away. We also cooked pizzas, Apple Crumble and Tartiflette (a French dish) in the oven too – clean plates all round. The Explorers also hiked through the countryside surrounding the camp-site. We met for lunch in the village of Claudon for baguettes (naturally!). One of the highlights of the week was our fancy dress party. 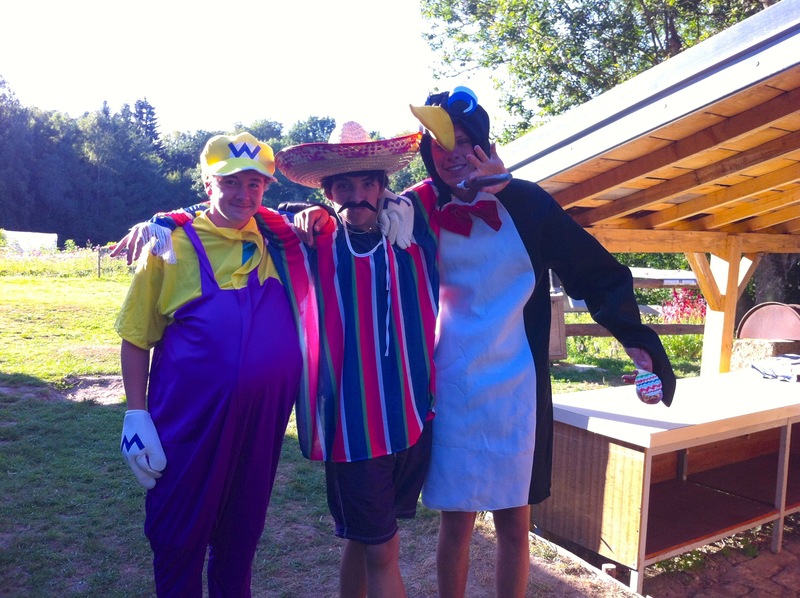 I think it was a first for all of us to be sitting round a camp-fire with a Mexican, a Penguin and a Mario Brother! For others the highlight may have been receiving GCSE results outside a lovely restaurant in the town of Vittel – tears of joy all round. Where are we going next year? Stay tuned! Contributed by the Explorer Leadership Team.